Axe Cop was born Axey Smartist in 2004 to his parents Bobber and Gobber Smartist. After his parents ate candy canes that were poisoned by Telescope Gun Cop he swore on their grave he would become a cop. 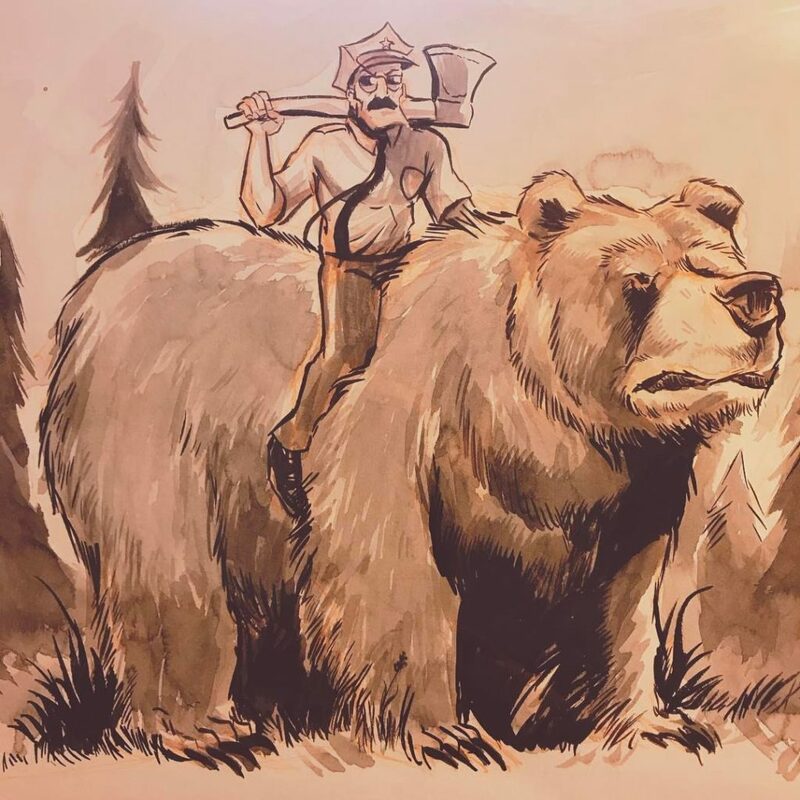 At some point he decided an axe was a better weapon than a gun, and it turns out he was right. Axe Cop now regularly has try outs for various warriors and super heroes to join him as he fights evil. He only has two known weaknesses: Being surprised (which causes him to melt), and Cherry Rainbow candy canes. One page left, and one song left. Parry and I are thinking of putting together a special highly limited edition cassette tape and full printed comic. If you would be interested in something like that, let us know. Next week, the story shall end. 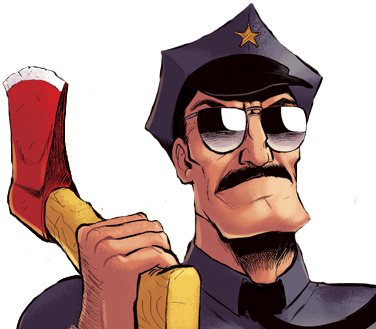 I don’t have plans for more Axe Cop content at the moment. Thanks for following along with this story, it’s been a fun little experiment and working with Parry has been a treat.